The guesthouse provides comfortable and cozy accommodation, a homely foyer and a terrace with enough space for social gatherings and cozy evenings. A modern conference center, an assembly hall, a media center and our culture barn are available for meetings, trainings and conferences. Playgrounds, sport fields and a gym give our guests the opportunity to do a lot of sports activities. 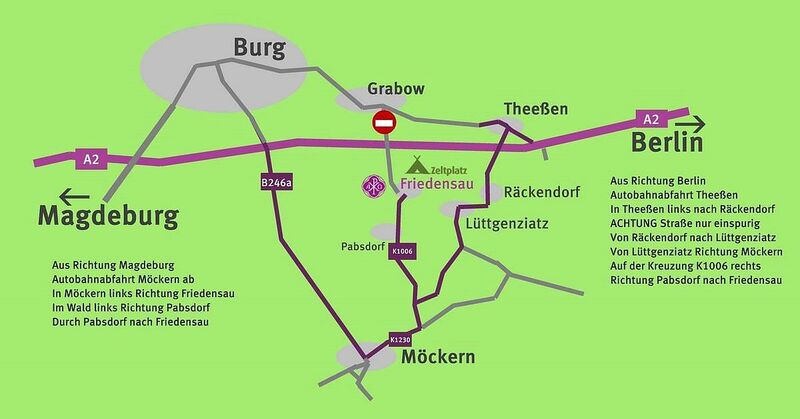 Thanks to the roads with little traffic, Friedensau provides optimal conditions for vacations or a long weekend for families with children. Normally, the arrival at the reception is possible until 18:00. In the case of later arrival, please use our 24h service. Thanks to our system “KeyBoy”, we can provide you with a 24h check-in. Simply take your room key comfortably from our “KeyBoy”. A registration is necessary for using this system. Therefore, please let us know the approximate time of arrival. Guest card: 1 stay = 1 stamp. With the guest card stamped 5 times, we grant you 1 free night on your next stay. For children up to the age of three years, the stay is free of charge. For children from 4 to 17 years, we will just invoice € 10.00 per night.